Give your Wrangler JL the ultimate in bumper protection with the SRC Gen 2 Rear Bumper from Smittybilt. 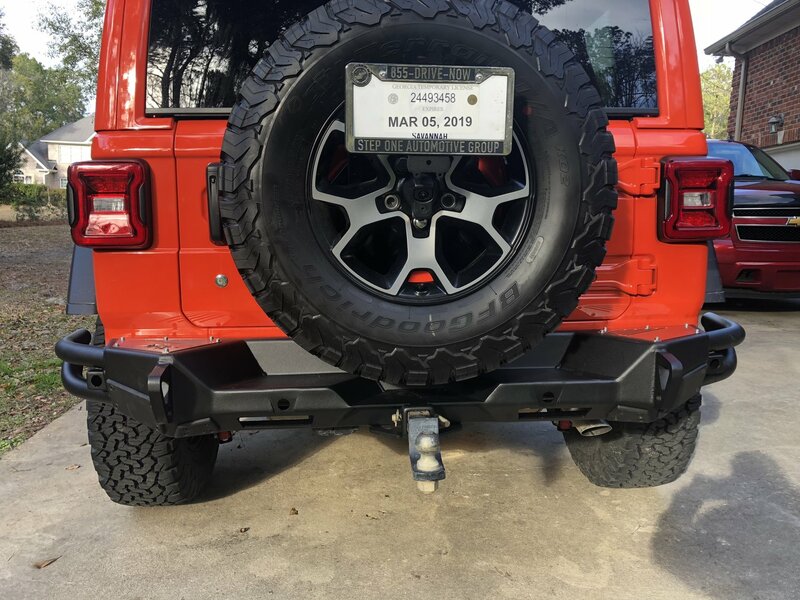 This rear bumper is built trail ready with a 3/16" steel construction, solid plate center sections that that protect the frame horns & lower cross members giving you protection from the abuse the trails can throw at you. Another great feature is the class III 2" receiver hitch that is built into this bumper. Comes in a light textured finish for a nice sleek look. Features: Corner to corner coverage to help protect from rocks among other things you come across. LED light bar cut outs giving you better backing up lighting for trail runs at night. D-ring mounts for recovery points. Class III Hitch: 2" receiver hitch that is integrated into the bumper and bolts directly to you OE mounting points. Bolt on Design: Making installation a breeze so your Jeep will be trail ready in no time flat. All hardware is included. Very well built bumper. I put it on my 2019 JLUR and was a breeze. The only issue was they didn’t include the rear sensor brackets, which are different from the 2018 brackets. No biggie, I’ll grab some MOPAR and finish the install.